For use with Shimano Deore BL-M511 brake levers. Thank you for getting back to me so quickly. The information you have me was spot on. Now I have the number I can't seem to find the component on your site. 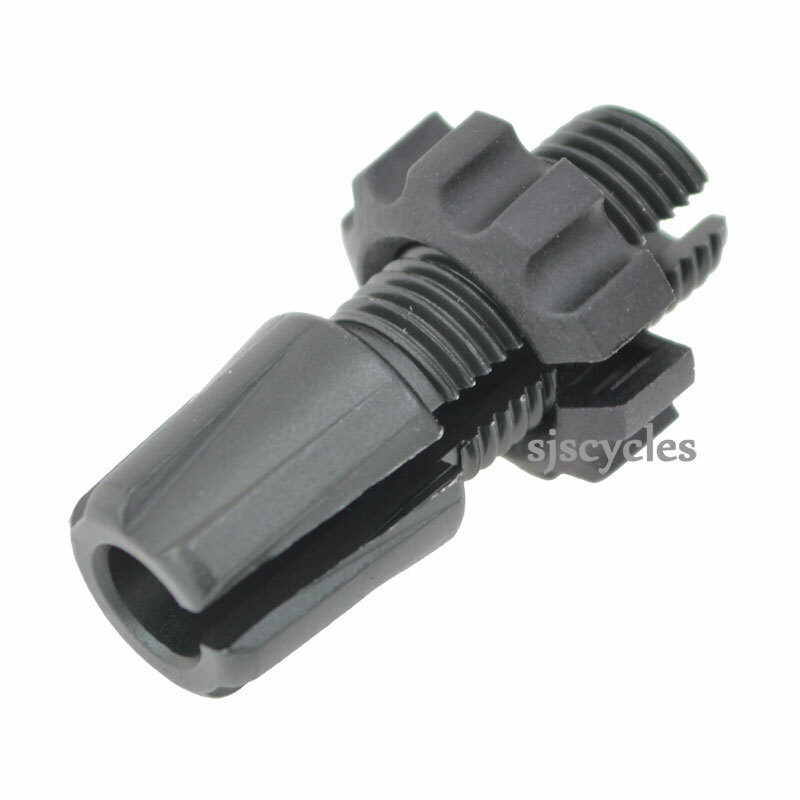 Deore xt RD T780 cable adjusting bolt. This item is made out of plastic. I have a set of BL-M591 brake levers on my Raven Tour. One of the cable adjusting bolt and nut (Shimano Part Y-8T6 98010) has split and the other is damaged so I would like to replace them at the same time that I replace my brake cables. Are there any harder wearing alternatives such as a metal version available for my set up? The only other compatible adjuster is the Bl-M421 which is made from the same material and actually slightly shorter so we would still recommend replacing them with the correct matching part for your brakes.